A couple of local gamedays and weekly gaming were in the offing this last month. The Franksville Gameday took place on Feb 8th at Greg's Catering and should come around again in two months will be happening again March 1st! 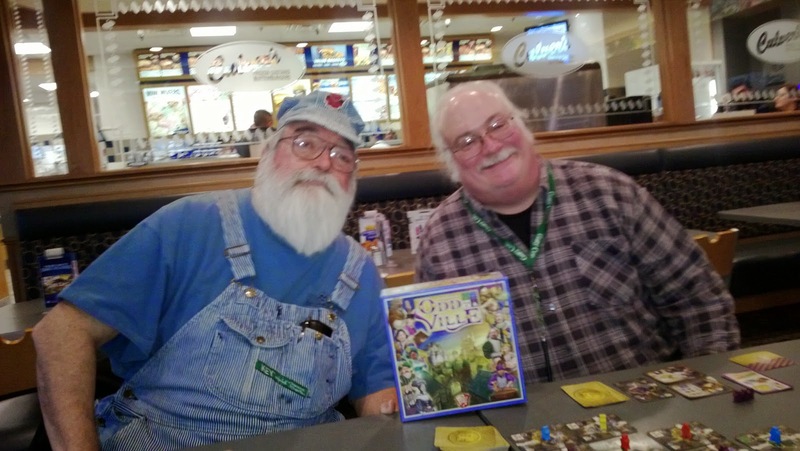 Of course the third Sunday meant A Gathering of Gamers at the Pizza Ranch in Elkhorn, WI, but the Burlington Gameday won't happen until this Saturday, the third Saturday of the month, due to the month beginning on a Sunday. Quite a bit of boardgaming at the Taco Bell on Tuesdays and Culver's on Fridays as well, and the weekly 1E AD&D game was going strong despite being down a couple of players for an extended period continuing into March. Here are some highlight photos but the bulk of them can be found in a Facebook album here and on Google Plus here.